We invite you to visit us at our pop-up Match Box Depot where we are distributing and collecting matchboxes for People Make Places. 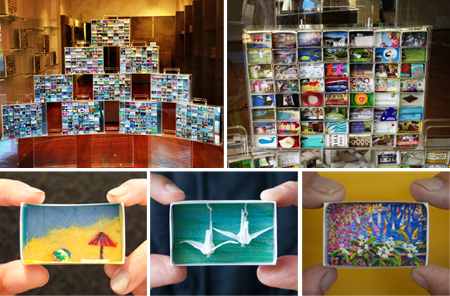 Sydneysiders are invited to create their own impression of the city in one of our matchboxes and all are welcome to view those that have already been created, including 100s Mosman locals have created over the past month. Special thanks to Ken Done and First National Mosman for providing us with this pop up and to Balmoral�s Hunter Valley Uncorked participants Mount Pleasant and Brokenwood for providing their beautiful wines for our farewell event. This entry was posted on Monday, October 28th, 2013 at 7:16 am	and is filed under Our Blog. You can follow any responses to this entry through the RSS 2.0 feed. You can leave a response, or trackback from your own site.